Lämpimästi tervetuloa projektin Paljon pelissä -loppuseminaariin! EHYT ry:n aikuisten rahapelihaittoja ehkäisevä Arpa-projekti järjestää projektin tuloksista ja rahapelihaittojen ehkäisyn ajankohtaisista aiheista Paljon pelissä -loppuseminaarin. Tilaisuus järjestetään tiistaina 10.10.2017 klo 12-16 G Livelabissa osoitteessa Yrjönkatu 3, 00120 Helsinki. Tila on esteetön. 14:50 Keskustelupaneeli: Miten aikuisten rahapelihaittoja pitäisi jatkossa ehkäistä? Tilaisuus streamataan EHYT ry:n YouTube-kanavalla ja tilaisuudesta jää kanavalle myös tallenne. Loppuseminaarin keskusteluihin voi osallistua sosiaalisessa mediassa käyttämällä tunnisteita #arpaprojekti tai #paljonpelissä. Arpa-projekti tuotti tietoa ja välineitä rahapelaamisen käsittelyyn. Projekti kehitti osaamista rahapelihaittojen tunnnistamisesta, puheeksiottamisesta ja ehkäisemisestä sekä tuki pelaajia oman pelaamisen hallinnassa. Kohderyhmiä olivat aikuiset rahapelaajat sekä ehkäisevää päihdetyötä tekevät ammattilaiset. Projekti toteutettiin vuosina 2015-2017 sosiaali- ja terveysministeriön tukemana Veikkauksen tuotoilla. Lisätietoja tilaisuudesta saa projektiasiantuntija Salla Karjalaiselta (salla.karjalainen@ehyt.fi tai p. 050 514 7658). Tervetuloa PLAY ’17 -seminaariin perjantaina 8.9.2017! Seminaari, jonka teemana on Pelillisyys ja uudet teknologiat musiikin oppimisessa, päättää Suomalaisella musiikkikampuksella toteutetun PLAY-hankkeen. Seminaari järjestetään JAMK:in Hannikaissalissa osoitteessa Pitkäkatu 18–22, Jyväskylä. Aloitamme päivän hankkeen tarjoamalla aamupalalla klo 8.30, jonka jälkeen on luvassa varmasti mielenkiintoista seminaariohjelmaa klo 9.00–15.00 (ohjelma viestin liitteenä). Varsinaisen seminaarin jälkeen sinulla on mahdollisuus osallistua musiikkikasvatusteknologian ja oppimispelien työpajaan klo 15.00 alkaen. Petri Jussilan toimittama PLAY-hankkeen loppujulkaisu, Pelillisyys ja uudet teknologiat musiikin oppimisessa, julkistetaan seminaarin yhteydessä. Ilmoittautumalla seminaariin varmistat, että saat omasi seminaaripäivänä. – Academic Programme Manager for Digital Humanities and Research Fellow at Oxford Internet Institute with interest in the impact of new technologies on Humanities scholarship, and the re-organisation of cultural heritage and higher education in the digital world. – Distinguished Professor in the English Department at the University of California, Santa Barbara, and an affiliated faculty member of UCSB’s Media Arts & Technology graduate program. 1. Publication ready texts of length appropriate to the topic. Accepted papers will be submitted to the CEUR-WS proceedings series for publication in a citable form. c. Poster/demo: 2-4 pages, presented as an A1 academic poster in a poster session. 2. Abstracts of a maximum of 2000 words. Proposals are expected to indicate a preference between a) long, b) short, or c) poster/demo format for presentation. Approved abstracts will be published in a book of abstracts on the conference website. The call for proposals opened on 28 August 2017, and the deadline for submitting proposals is 25 October 2017. Presenters will be notified of acceptance by 8 January 2018. For papers accepted into the citable proceedings, there is an additional deadline of 5 February 2018 for producing a final version of your paper that takes into account the comments made by the reviewers. While the number of researchers describing themselves as digital historians is increasing, computational approaches to history have rarely captured the attention of those without innate interest in digital humanities. To address this, we particularly invite presentations of historical research whose use of digital methods advances the overall methodological basis of the field. Libraries, galleries, archives and museums are making vast amounts of cultural heritage openly digitally available. However, tapping into these resources for research requires cultivating co-operation and trust between scholars and heritage institutions, due to the cultural, institutional, legal and technical boundaries crossed. We invite proposals describing such co-operation – examples of great resources for cultural heritage scholarship, of problems solved using such data, as well as e.g. intellectual property rights issues. 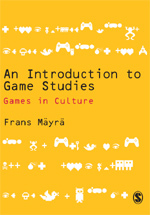 Humanities perspectives on games are an established part of the game studies community. 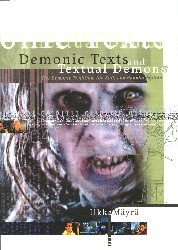 Yet their relationship with digital humanities remains undefined. Digitality and games, digital methods and games, games as digital methods, and so on are all areas available for research. We invite proposals that address high-level game concepts like “fun”, “immersion”, “design”, “interactivity”, etc positioned as points of contact with the digital. We also invite proposals in the broad category of ”Future”. Accepted proposals will still fit in the overall context of the conference and highlight new perspectives to the digital humanities. Submissions may range from applications of data science to humanities research to work on human-machine interaction and ecological digital humanities. We also welcome reflections on the future of the digital humanities, as well as the societal impact of the humanities. Finally, the overarching theme this year is Open Science. This pragmatic concept emphasises the role of transparent and reproducible research practices, open dissemination of results, and new forms of collaboration, all greatly facilitated by digitalisation. All proposals are invited to reflect on the benefits, challenges, and prospects of open science for their own research. In addition to individual papers, the conference calls for interested parties to submit proposals for workshops/panels and tutorial sessions to be held preceding the conference. Workshops/panels gather together participants around a particular subtopic, while tutorials present a useful tool or method of interest to the digital humanities community. Either can take the form of either a half or a full day session, and they generally take place the day prior to the conference. Proposals should include the session format, title, and a short description of its topic (max 2000 words) as well as the contact information of the person/s responsible. Proposals should also include the following: intended audience, approximate number of participants, and any special technical requirements. Organisers at HELDIG – the Helsinki Centre for Digital Humanities at the University of Helsinki, the Faculty of Arts include Mikko Tolonen (conference chair, mikko.tolonen@helsinki.fi), Eetu Mäkelä (programme chair, eetu.makela@helsinki.fi), Viivi Lähteenoja (conference producer, viivi.lahteenoja@helsinki.fi), Maija Paavolainen (communications chair, maija.paavolainen@helsinki.fi), Jouni Tuominen (web chair, jouni.tuominen@helsinki.fi), and Eero Hyvönen (HELDIG director, eero.hyvonen@helsinki.fi).